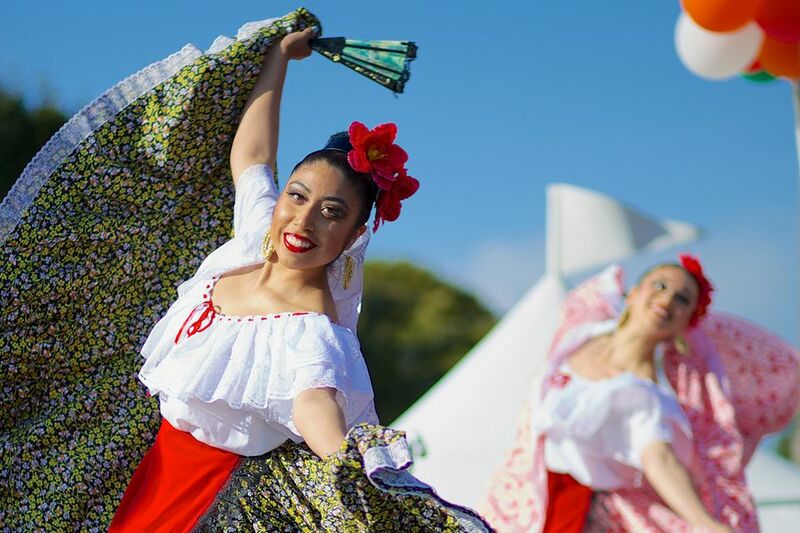 Cinco de Mayo: May 5 isn't Mexico's independence day, but it does mark an important battle when an ill-equipped Mexican army held off a French invasion. You'll find celebrations in Los Angeles, San Diego, and San Francisco. Mother's Day is the second Sunday in May. If you're looking for something special for Mom's big day, we've got some great ideas that are better than the same, old, tired Mother's Day Brunch. Memorial Day in California: Even though school isn't quite out yet, Memorial Day kicks off the summer vacation season on the last Monday of the month. It's the time that many seasonal attractions start staying open all week. It's also a three-day weekend for many people. Been there, done these - and we're telling all our friends to try them, too. Vintage Classic Car Race, Sonoma County: Normally, it's NASCAR on the track at this raceway in Sonoma County, but once a year the vintage classics take over. It's a casual event that features some fun cars to watch. These events sound and look like fun, but we haven't had time to try them yet. Amgen Tour of California Bicycle Race: California's version of the famous French bicycle race the Tour de France attracts some big-name riders. Calaveras County Fair and Jumping Frog Jubilee, Angels Camp is an old-fashioned county fair that also features the jumping amphibians which inspired author Mark Twain's first published work. Temecula Valley Balloon Festival: This hot air balloon festival happens in late May or early June. Eta Aquarid Meteor Shower: The best places to see the streaking fireballs are far away from city lights and where there are few trees: Joshua Tree and Lake Shasta are excellent choices. Whale Watching in May: Humpbacks and orcas are most commonly seen this time of year. Wings of Freedom Tour: Collins Foundation’s annual vintage aircraft tour visits more than a dozen California locations in April and May. You can see a restored B-17, B-24, P-51 and others, take a flight or even get a little flight training yourself. Mule Days: The town of Bishop holds this fun equestrian event focuses on the heritage and talents of the mule. Lightning in a Bottle: Known as LIB it is a summer campout festival in Bradley features music, art, yoga, and education on wellness and sustainability. If you want to go to a summer concert, camp at Yosemite next September and October or make state park camping reservations for next December, get busy this month. Those things - and more are on the list of Things To Plan Ahead For in May. If you want to attend the Bottle Rock music festival in Napa Valley, start looking for a hotel room in January. Otherwise, you may be sleeping in your car or paying more than $300 a night for your lodging. Los Angeles Conservancy's Last Remaining Seats series starts at the end of May and runs through June. It's a fun series of screenings, held in some of downtown LA's most gorgeous old movie palaces, places not normally open to the public. Tickets go on sale on April 11 at 10 a.m. PDT and it's always a sell-out. Details are here. If you're planning to camp at Yosemite between May 15 and June 14, be ready at 7:00 a.m. Pacific Time on January 15 to make your reservations online. For June 15 through July 14, be ready on February 15. You can do that online or by phone at 877-444-6777 or 518-885-3639 from outside the US & Canada. Get an overview and more options here. If you want to go camping at a California state park in May, make your reservations six months ahead of time in November. Everything you need to know is here. If you're just starting to plan your California trip and want to know what it's like year round and not just in May, you can get a look at every month of the year using these guides: California in the Winter is great for skiing and snow play and all the events you'll find in the guide to California in December, January, and February. It's also a great time for a winter weekend getaway. Spring gets going in March and April, and clear skies will continue at the coast into May. Get an overview of Things to Do in California in the Spring and try some of these California Spring Getaway Ideas. Summer holiday season starts in June and continues through July and August. It's the busiest tourist season and some parts of the state get almost unbearably hot, but it's a great time for mountain hiking. Start exploring Things to Do in the Summer and get busy planning your Summer California Getaway. Fall is my favorite time of year in California. You'll see why in this Guide to California in the Fall. Weather is beautiful in September and October. By November, winter rains may have set in – or not. Start thinking about your California Fall Getaway now.